LG Electronics (LG) announced today that it will begin accepting pre-orders for its eagerly-awaited 55-inch class (54.6-inch diagonal) RGB OLED TV (Model 55EM9700) in South Korea this month with deliveries scheduled to begin next month. More than 1,400 LG retail stores in South Korea will begin accepting orders from consumers for KRW 11 million (approximately US $10,000) TVs starting Jan. 3 with delivery to commence the first week of February. As the first and only company to announce availability of the next-generation TV technology, LG is prepared to ramp up quickly to take the lead in the OLED segment that is expected to grow to 7.2 million units by 2016, according to DisplaySearch. Only 4 millimeters (0.16 inches) thin and weighing less than 10 kilograms (22 pounds), LG’s OLED TVs produce astoundingly vivid and realistic pictures thanks to its superior WRGB technology. LG’s unique Four-Color Pixel system features a white sub-pixel, which works in conjunction with the conventional red, blue, green setup to create the perfect color output. LG’s exclusive Color Refiner delivers even greater tonal enhancement, resulting in images that are more vibrant and natural than anything seen before. The 55-inch OLED TV also offers an infinite contrast ratio, which maintains optimal contrast levels regardless of ambient brightness or viewing angle. 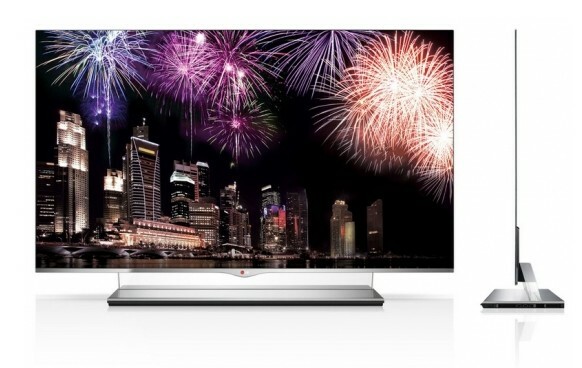 Even before its launch, LG’s OLED TV was turning heads all over the world. In addition to being named Best of Show at CES 2012, the influential Industrial Designers Society of America recognized the TV with a coveted IDEA Award. Meanwhile, LG received the European Display Achievement 2012-2013 Award from the European Imaging and Sound Association (EISA). And to cap it off, LG’s OLED received Korea’s Good Design President Award in October. 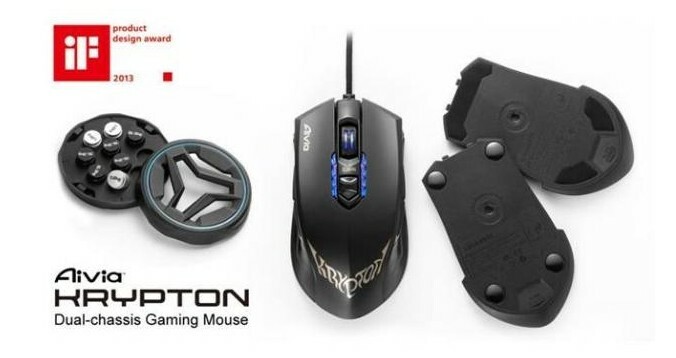 GIGABYTE, the world's leading premium gaming hardware manufacture, is pleased to share that the Aivia Krypton Dual-chassis Gaming Mouse won iF Product Design Award 2013 recently! Two years ago, GIGABYTE created the premium gaming peripheral series named Aivia. Soon after, Aivia K8100 Gaming Keyboard won a red dot award 2011, and then Aivia M8600 Macro Gaming Mouse also won an iF Design Award 2012. This year, our very new hero product Aivia Krypton Dual-chassis Gaming Mouse stood out from more than 3,000 entries and won another iF Design Award! By the distinguishing features of all-aspect-customization, Aivia Krypton was honored with the world's best-known prestigious award, iF Award, also seen as Oscar Award in design industry. GIGABYTE is committed to fulfill the needs from gamers. GIGABYTE knows very well that different using habits and different games will lead to different demands from gamers. Therefore, GIGABYTE designed the Aivia Krypton Dual-chassis Gaming Mouse! The world's first all-aspect-customizable gaming mouse taking gamers' habits in different types of games into consideration. By swapping the revolutionary dual bases, gamer can personalize preferred gaming experience. Speed Base made by abrasion-free ceramic mouse feet for immediate reaction. Control Base made by Teflon mouse feet for precision movements. Symmetrical design with innovative weight distribution system ensures personal perfect center of gravity, either right or left hand user can optimize weight and balance easily. Gamer can always adjust resolution from 200 to 8200dpi and edit portable macros up to 70 sets of Aivia Krypton. On-board GHOSTâ„¢ Engine supports massive macros and easy-to-use drag-and-drop software with smart macro manager. The Storage Products Business Unit of Toshiba America Electronic Components, Inc. announced that a leading German luxury car manufacturer is now shipping its vehicles standard with Toshiba's MK2060GSC 200GB Serial ATA automotive hard disk drives (HDD), marking 26 million automotive-grade HDDs shipped. Toshiba has led innovation in the automotive sector since launching its first automotive-grade HDD in 2000, and is the leading vendor in the automotive storage market. By 2016, more than 55 million people worldwide will have Internet access built into their vehicles, according to iSuppli Corp. Sophisticated navigation and entertainment systems, smartphone and tablet integration, and Internet connectivity are all features that consumers rely on to enhance their in-car experience, and these systems depend on reliable, shock-resistant HDDs to operate. Toshiba works in partnership with premier automotive manufacturers to provide best-in-class storage devices that can withstand severe road conditions, the growing quantities of data embedded in a vehicle's systems, and users' demands for constant connectivity to stream high-definition movies and update their navigation systems simultaneously. "Cars are increasingly forming a key part of our connected ecosystem. It is essential they have the capacity to store all the data consumers want and need," said Joel Hagberg, vice president marketing, Toshiba Storage Products Business Unit. "As the automotive industry continues to develop a more integrated and connected driving experience, we will continue to partner with manufacturers to meet their specifications and provide the most innovative and effective storage solutions possible." Launched two years ago, the MKxx60GSC 2.5-inch SATA-interface series can withstand extreme environments including temperature, shock and altitude variations while still providing seamless performance. Each drive is optimized to handle temperature variations of -22Âº to +185ÂºF. With aerodynamic technology in the magnetic head slider, the drive series can withstand altitudes up to 18,536 feet (higher than any city in the world), and withstands up to 3G (29.4m/sÂ²) vibration tolerance during operation. With 200GB of storage, the MKxx60GSC series is the largest capacity automotive-grade HDD available. The drive's 4,200 RPM speed offers high internal transfer rates of up to 665 Mb/s using an average seek time of 12ms. The drive also offers silent seek operation and uses the minimum amount of power for energy efficiency with no compromise on performance. Aiming at rising micro server market, world renowned memory and flash module manufacturer, KINGMAX, launches ECC DDR3 SO-DIMM today. The DIMMs, equipped with ECC(Error check and correction) function, which can increase system stability, are specially designed for space-constraint micro server or embedded system that execute critical missions. The rising of networking development and Big Data application boost data center and micro server market. Micro servers simplify structure, save cost and reduce space. While ECC SO-DIMM is compact, it is a perfect fit for micro server’s structure. KINGMAX ECC SO-DIMM utilizes ECC(Error check and correction) technology to check whether or not the data send to memory is correct. When error occurs, ECC can automatically correct it or ask system to resent the data. Thus, it is able to keep the system working normal and avoid sudden system failure due to memory error. Furthermore, it greatly increases system stability. KINGMAX ECC SO-DIMM includes speed of 1333MHz and 1600MHz, capacity of 4GB and 8GB. For the energy saving concern, KINGMAX also provides version of 1.35V, which can reduce 10% to 15% power while using ECC SO-DIMM. KINGMAX Server DIMMs family also include DDR3 Registered DIMM, ECC Unbuffered DIMM and VLP DDR3 Registered DIMM for various server applications. Registered DIMM is designed for mid-range to high-end severs which require higher performance, scalability and stability; the VLP DDR3 Registered DIMM is specially designed for blade or 1U rack server. The height of VLP DDR3 Registered DIMM in only 18.75mm -- 35.7% lower than standard Registered DIMM. Space saving is not only improve airflow to increase the reliability of heat-sensitive system, but also makes it more eco-friendly. KINGMAX sever DIMMs meet JEDEC standard and are compatible with major server boards; all memory modules are rigidly screened and tested before leaving the factory, and are compliant to EU RoHS and conformed to CE. Genius has launched mini LuxePad, a brand new Bluetooth 3.0 keyboard for iOS devices. Mini Luxepad can be used to edit document, text, email or chat anytime. Soft rubber keys provide a great tactile typing feel and the FN keys offer instant access to functions such as brightness, volume, multimedia control and input method in order to change the language. "The ThinkPad X131e has proven to be very successful in education environments," said Jerry Paradise, executive director of product marketing, ThinkPad Product Group. "With the rugged features we added to the X131e, we've seen reduced failure rates in the field. This is a huge benefit to schools and students. We're pleased to be able to offer this hardened ThinkPad Chromebook as a great computer for schools." 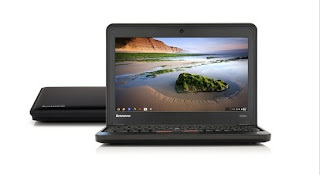 Lenovo's ThinkPad X131e Chromebook, provides students, educators, and IT administrators with an intuitive, easy-to-manage, and rugged laptop for all their computing needs right out of the box. Using Google Apps for Education along with thousands of web apps in the Chrome Web Store, students can easily create documents, edit spreadsheets, view multimedia videos, create slide show presentations and view PDF files. Students can use the low-light webcam to communicate with students in other schools across the world or just across town. They can also easily connect via WiFi and Chrome's fast start up gets students online instantly. With HDMI and VGA ports, students can present their reports to the class with a projector or big screen TV. The 11.6-inch X131e laptop features an Intel processor, a 1366x768 HD LED anti-glare screen, and three USB ports. At less than four pounds1 and battery life for the entire school day, students can easily carry the laptop between classes without the need to recharge. Recognizing that one laptop doesn't fit all, especially when it comes to schools, the ThinkPad X131e offers a number of customization options including custom colors, asset tagging services to help keep track of devices left on the school bus or in the classroom, and school logo etching to make every device unique to each educational institution2. "Chromebooks are in use today by more than one-thousand K-12 schools, and they make an ideal on-to-one device because they're more cost effective, easier to manage and maintain than traditional laptops or tablets," said Caesar Sengupta, director of product management, Chrome OS, Google. "Lenovo has a great reputation in schools for making durable and reliable laptops, so we're excited to partner with them to introduce the ThinkPad X131e Chromebook." As millions of students in education institutions across the country continue to use Google Apps for Education, administrators need a system that is easily manageable but also provides the layers of security required to safe guard a school's ecosystem. In conjunction with Chrome's built-in protection, Chromebooks allow schools' IT teams to manage security and scalability through one dashboard. This allows IT professionals to configure and manage devices all from one place, saving time, resources and money rolling out multiple computer images. Lenovo also recognizes one laptop doesn't fit all, especially when it comes to schools. The X131e offers a number of customization options including custom colors, asset tagging services to help keep track of devices left on the school bus or classroom, and school logo etching to make every device unique to each education institution. In addition to their added IT benefits, Chromebooks also cost less than most high end tablets and according to the IDC, require 69 percent less labor to deploy and 92 percent less labor to support. 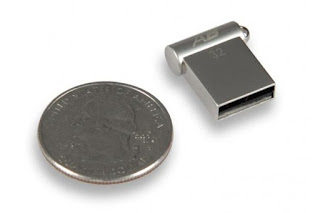 Patriot Memory today announces the availability of the new ultraportable Autobahn USB 2.0 drive. Designed for those looking for excellent USB 2.0 performance and high capacity in a micro sized form factor, the Patriot Autobahn is less than 18mm in length and becomes barely noticeable when plugged in. Car audio enthusiasts can now rock their tunes with ease. The Autobahn is plug-and-play compatible with stereos that support USB connections for hours of music playback, without the hassle of plugging in an external player. The Patriot Autobahn is available in 8GB, 16GB and 32GB capacities to take all your data with you in and ever increasing mobile world. The Patriot Memory Autobahn is compatible with Windows 8, Windows 7, Windows Vista, Windows XP, Windows 2000, Windows ME, Linux 2.4, Mac OS9, OS X and is backed by Patriot Memory's 2-year warranty. "With a capacity up to 32GBs, the Autobahn is the perfect USB storage extension to any laptop or compatible car stereo", said Meng Jay Choo, Patriot Memory's Product Manager. "The Patriot Autobahn is one of the smallest USB 2.0 form factors to date; you can literally plug it in and forget about it." The Autobahn is available now in major worldwide channels with an MSRP of $11.99 (USD), $16.99 (USD), and $24.99 (USD) for the 8GB, 16GB, and 32GB capacities. Seagate Technology plc today announced the next evolution of the company's wireless storage category, Seagate Wireless Plus mobile device storage at the 2013 Consumer Electronics Show. Designed to wirelessly stream content for up to eight smartphones or tablets with enough space for up to 500 high-definition movies, this new wireless hard drive, will extend the limits of today's mobile lifestyle. The new Seagate Wireless Plus now also includes a 10-hour battery life to match that of most tablets and smart phones. With the integrated 1 TB drive you'll have all you need to be entertained anywhere including long road trips or flights - without an Internet connection. Seagate created this new category of wireless storage devices in 2011 to address consumers' desire to enjoy more content than tablets and smartphones can hold with their limited storage. A CES 2013 Best of Innovations Award Winner, the new Seagate Wireless Plus includes a new option to save content and files to the drive wirelessly through the new Seagate Media app. For the first time, consumers will be able to enjoy capturing a great HD video on their iPhone and then wirelessly uploading it, in full resolution, to Wireless Plus with its 1 TB of storage. "Smartphones and tablets offer amazing new opportunities for Seagate to provide new consumer storage solutions in an increasingly mobile world," said Scott Horn, vice president of marketing at Seagate. "Seagate developed the concept of wireless storage to consumers with the freedom to enjoy their documents, movies, photos and music anywhere in the world, especially when they can't connect to the Internet. Seagate Wireless Plus builds on the success of our first-generation product and takes it even further." The new 1 TB wireless drive comes with a removable SuperSpeed USB3.0 adapter for quick loading of photos, video, music and even documents. Fill it up and go, for true anywhere access of all your favorite entertainment or much needed work-related files anywhere. Because the Wireless Plus creates its own Wi-Fi network, there is no need to stream or download your content from the Internet or to spend money on a data plan. Everything is with you, where you want it, when you need it with a secure and wireless connection. Genius announces that it has been named an International CES Innovations 2013 Design and Engineering Awards Honoree for the Gila GX Gaming Series MMO/RTS Professional Gaming Laser Mouse. Products entered in this award program are judged by a preeminent panel of independent industrial designers, engineers and members of the media to honor outstanding design and engineering in cutting edge consumer electronics products across 29 product categories. Gila is a twelve button professional gaming laser mouse with a dpi range from 200 to 8200 that allows gamers to not only make quick yet controlled movements and turns in the battlefield, but also allows for pinpoint accuracy when zooming in for the headshot by instantly dropping the dpi with a press of a button. Gila gives gamers even more precise control with its “Angle Snapping” function that raises cursor precision at high speeds and the “Sniper” function reduces the dpi so gamers are in control of cursor accuracy. It also has many customization options for gamers, including: “Button Assignment”, “Macro Management” setups for up to 72 keys, 16 million backlight color backlight options, a removable weight system including six metal weights - each 4.5 grams - to attain the right heft and balance for any game or hand speed. “Gila represents the ideal of the GX Gaming Series with features and customizations that not only provide a pleasant gaming experience, but also enhances gaming performance. Genius is proud to have the GX Gaming Series Gila named as a CES Innovations 2013 Design and Engineering Award Honoree.” Jim Huang, Product Manager. The Innovations Design and Engineering Awards are sponsored by the Consumer Electronics Association (CEA), the producer of the International CES, the world’s largest consumer technology tradeshow, and have been recognizing achievements in product design and engineering since 1976. The Gila GX Series MMO/RTS Professional Gaming Laser Mouse will be displayed in The Venetian at the 2013 International CES, which runs January 8-11, 2013 in Las Vegas, Nevada. Honorees will also be displayed at CES Unveiled: The Official Press Event of the International CES from 4-7 p.m. on Sunday, January 6 in the South Seas Ballroom C at Mandalay Bay.